Friday, March 29, 2019 – Seven course gourmet dinner at Happy Hollow Country Club for eight guests and premier seating with winery representatives who will share their expertise! Saturday, March 30, 2019 – Table for ten guests with premier seating at the public wine tasting and grand auction at the Ramada Inn and Convention Center. Recognition on the vinNEBRASKA and Omaha Public Schools Foundation websites as well as the mobile bidding site; a full page ad in the event program with preferred placement; acknowledgement during the announcements. Friday, March 29, 2019 – Seven course gourmet dinner at Happy Hollow Country Club for eight guests with winery representatives who will share their expertise! Saturday, March 30, 2019 – Table for ten guests with preferred seating at the public wine tasting and grand auction at the Ramada Inn and Convention Center. Recognition on the vinNEBRASKA and Omaha Public Schools Foundation websites as well as the mobile bidding site; a half page ad in the event program with preferred placement; acknowledgement during the announcements. Thank you for your interest! 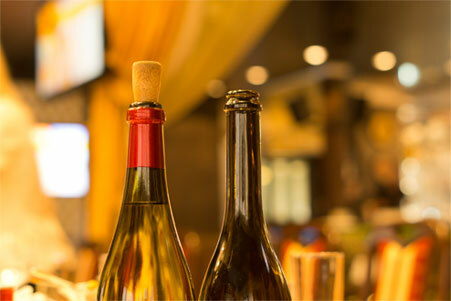 Unfortunately, all available tables for the 2019 vinNEBRASKA Vintner Reception and Gourmet Dinner are currently reserved. If you wish to be placed on our waiting list, please complete and submit the short form to the right and we’ll contact you, should an opening become available.